Local Massachusetts real estate company, Lamacchia Realty Inc. is happy to provide the community of Mansfield, MA with their home seller and home buyer real estate services. Whether you are looking to purchase and/or sell your house, you have come to the right spot. Our local agents in the Mansfield area pride themselves on customer service, great relationships, and most importantly results. We are truly an ambitious bunch and with the help of all the tools and resources that Lamacchia offers, our real estate agents get the best results out there. If you are selling your house in Mansfield where do you start? What have you done so far? Whether you are familiar with the real estate process or not, we would be more than happy to talk. At Lamacchia Realty, we get homes sold quicker and for more money than anyone. Our aggressive marketing campaign is shot into action as soon as your house hits the market and people WILL know that your house is for sale. The longer your house stays on the market, the less chance that it will sell at the price you want, so we move quickly. With Lamacchia Realty Inc. you know you’re in good hands. Mansfield and the surrounding communities have so many similar houses and neighborhoods. With the help of Lamacchia Realty, we will sift through the options for you and will be by your side the entire way. Explore our BUY A HOME PORTAL today to check out some home buying tools and home buying tips! The median home price is$446,900. Xfinity Center: If you’re a concert fan and hate traveling far and wide to see your favorite artists and bands play, then you’d love to live in Mansfield. One of the state’s top attractions for concerts is located right in Mansfield. Skip the long drive before and after the concert and walk right down the street when you live in Mansfield. Great Woods Conservation Area: Get outside and enjoy this large forested area right in Mansfield. It is the perfect place to walk, run or hike with scenic views throughout. 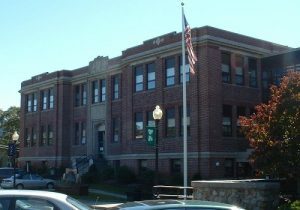 To learn more about Mansfield Public Schools, click here!